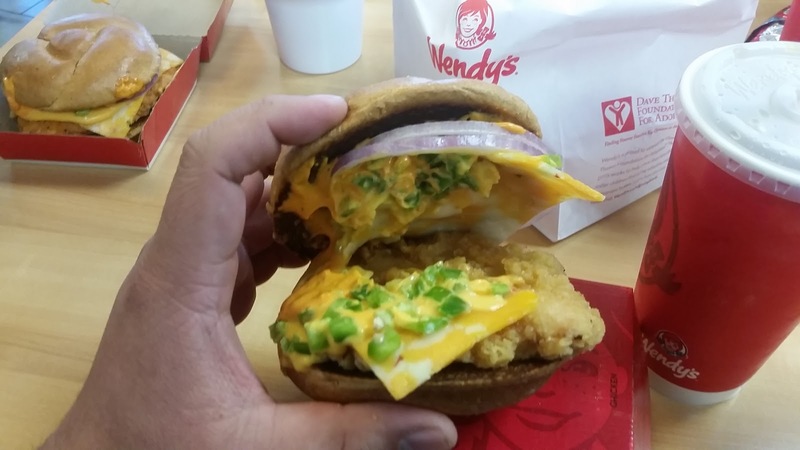 Today I had a hankering for some pain and decided to try the new Wendy's Jalapeno Fresco Chicken Sandwich with Ghost Pepper Fries. It was like a spicy punch to the face going in and a giant haymaker coming out. Why I did it? I don't know. I can feel myself getting old when I eat hot food. When I was younger I could tackle the spicy but now I have to factor in how much it will disrupt my sleep and if it's going to make me cry. Do you know the difference between a Sandwich and a Burger? I didn't till I just Goolged it right now. Apparently a burger is something that has ground meat formed into a patty but a sandwich will have a sliced piece of meat. Interesting. The Wendy's we went to was fully remodeled and had digital menus and a bunch of flashing images. It even had a fake fireplace along the wall. The digital menu dazzled me and told me to eat the Jalapeno Fresco Chicken Sandwich, which I ultimately decided to get because it looked good in the picture. It also tricked me into getting the Ghost Pepper Fries by flashing delicious images and taunting me saying I'm a weakling if I didn't get it. 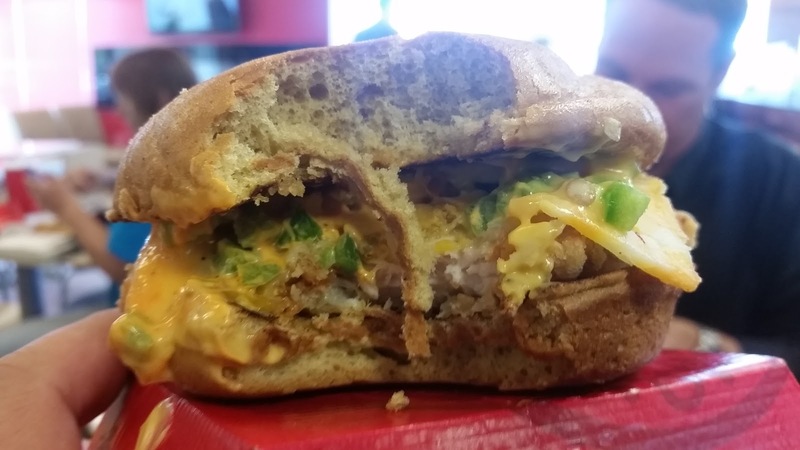 This is one of the messiest burgers I've ever had. 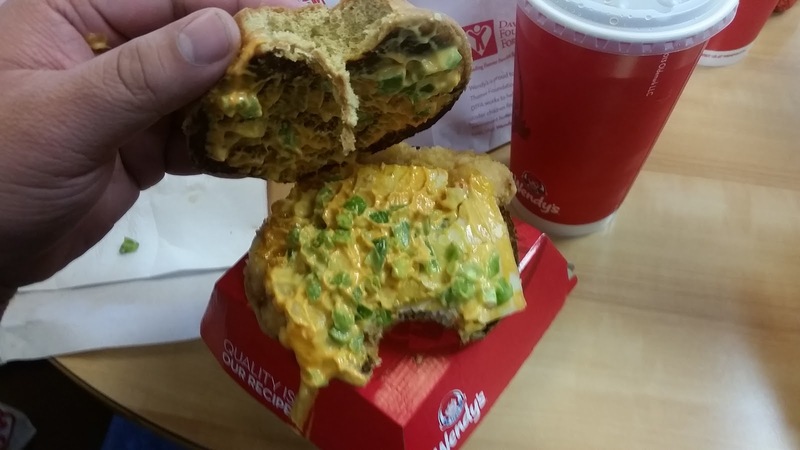 The sauce looks like it was put on by someone while driving a quad in the Grand Canyon. We were in kind of a hurry but eating it in the car was out of the question. The first bite was pretty good. I was expecting something out of the little bits of jalapeno cut up in the sauce but they had little to no taste. They just added a little bit of a crunchy texture. The sauce was quite good and sufficiently spicy. There was a delayed kick after the first bite that could only be stopped by taking more bites. The chicken itself was quite dry and over cooked. The breading was crunchy but the meat was bland. We had to run out of there fast so this was the last bite that I jammed completely in my mouth. I didn't get to savor the sandwich as much because of the rush but it wasn't too bad. Here is a picture of the Ghost pepper Fries. 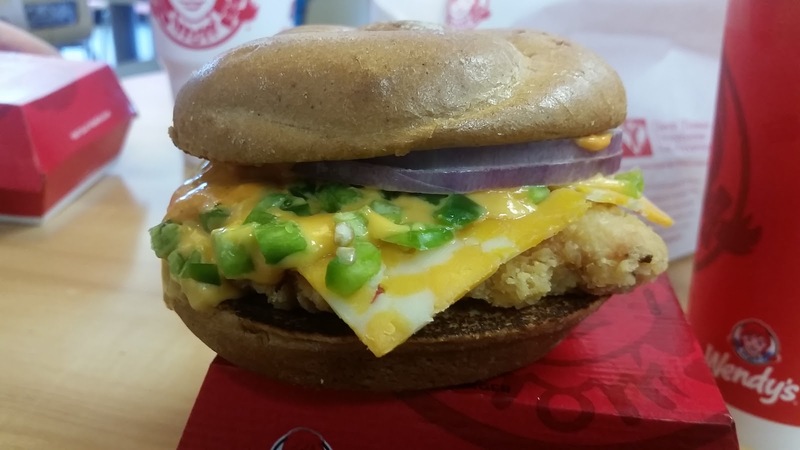 It's the same sauce that's on the sandwich but actually this tasted better. The fries at Wendy's is usually super salty but either the Ghost Pepper sauce cancelled it out by chemically burning it away or that they just don't dump a handful of salt on your fries when they're making the Ghost Pepper version. 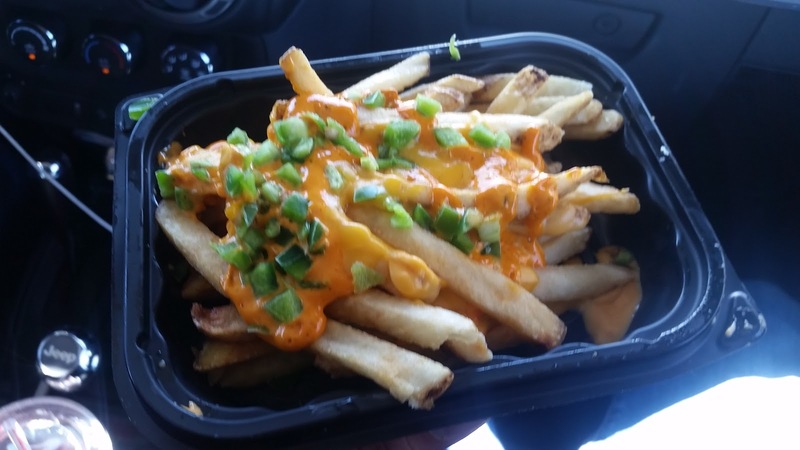 As soon as I opened the fries in the car, peoples' eyes started to burn. They could smell it with their eyes. 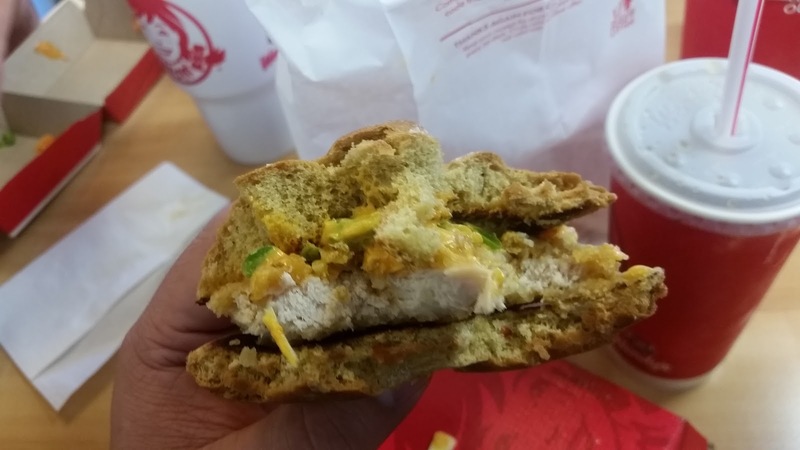 Overall the Jalapeno Fresco Chicken Sandwich is ok and I give it a 6 out of 10. It's nothing amazing but it's edible. The Ghost Pepper Fries I give a 7.5 out of 10. The sauce added some good flavor to the fries. Till next time!